Content can require a lot of resources to plan, create, and maintain. So, it’s only natural that people would like to measure its usefulness and success. What are your key metrics for content? But, how do you measure content? How do you know if your content is working for your website, social media, and other communication platforms? Each organisation may have different targets, so their metrics would vary. For example, an informational website’s content would most likely have different key metrics to an e-commerce website’s content (though there would be some similarities too). That’s why it’s important to find out what you want to know about your content plan and implementation, in order to understand what you want to measure. It’s important to make sure that you know what the objectives for content would be when it comes to the overall objectives of your organisation or business. Whether you’re developing a community around a brand, trying to increase sales, or developing thought leadership – content should have a direct relationship to the organisation’s mission and goals. Create actionable items based on organisational/business objectives. Something that can be measured, with a specific time allocation. Example organisational/business objective: To be a thought leader in the Not-for-Profit sector. To have at least 3 blog posts linked to/commented on every quarter. To create a press section for media references that would be updated at least once a month. This is probably the most common way people measure the success of their content. It’s one of the most straightforward ways to see if your content is working or not. Put simply: If your content is getting traffic to your website, then it’s adding value to your organisation or business. It’s putting your brand in front of a number of people who find your site through your content. Length of Stay / Number of Pages Visited / Bounce Rate – How long do people stay on your website? Do people visit more than one page or does your content have a high “bounce rate”? (people who leave immediately rather than actively engage with your content or visit other pages)? Clicks / Exit Rates – When you add links to your content, which ones get the most clicks? Top Pages – This tells you what sort of content gets the most traffic on your site. This is a great indicator for doing content audit as well. Referrals – Where does your traffic come from? Are you relying primarily relying on search engine traffic, or do you get a number of referrals from specific websites? Is your social media doing its job to refer back to your site? 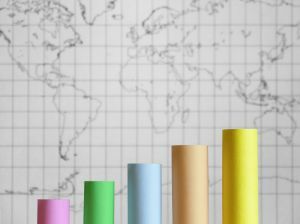 Demographic Data – Are you targeting visits from specific countries? Is that reflected in your statistics package? Are you able to tell if people are finding your site through specific web browsers? How about those who are visiting your site via mobile? There are a number of other areas to look at, but these are just some of the helpful ones to tell your data’s story. When it comes to social media content metrics, this will depend on which platform you’re using and how well your social media is integrated with the rest of your communication platforms. The most common metrics people look at when it comes to social media include Followers / Likes / Fans / Members / Subscribers. However, this doesn’t give the full picture. Demographic information – Again, you might want to find out where your followers/supporters mostly from? Age range? Gender? Reach/Viral count – Number of ReTweets (on Twitter), Number of Shares (on Facebook), Number of RePins (Pinterest), Number of original shares/Tweets, etc. “Likability” – Which of your content gets a lot of Faves (on Twitter) and Likes (on Facebook/Pinterest/Vimeo/YouTube, etc). Sentiment / Engagement – How are you being mentioned in social media? Do supporters and other stakeholders tag you on Facebook? Are you mentioned on Twitter? What type of comments do your blog posts get? Are you getting replies to your questions and polls? Are you on any Twitter lists – and what for? How about getting scores, vouches, etc? Quality of Leads – Who’s following/liking you? If you’re gathering top quality supporters with a huge reach, you have a much higher potential to reach more people through those supporters. Again, there are many other ways to develop content metrics on social media. It really depends on what kind of story or information that you wish to put together based on your data. These are definitely not the only areas of content metrics that you can use. If you have others that you wish to share, please do so. We would be writing up a follow-up post on this and we hope to incorporate other ideas too. If you want to know when the next post would be, don’t forget to subscribe to our RSS feed or sign-up to Vervelycious, our free mailing list.